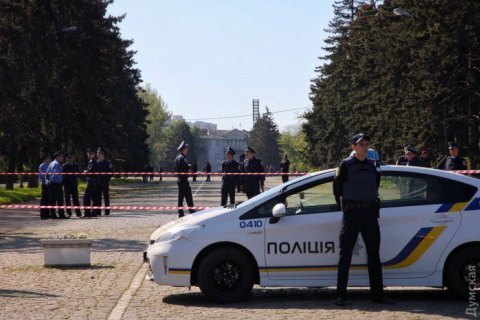 Security is tightened in Odesa ahead of the wake. 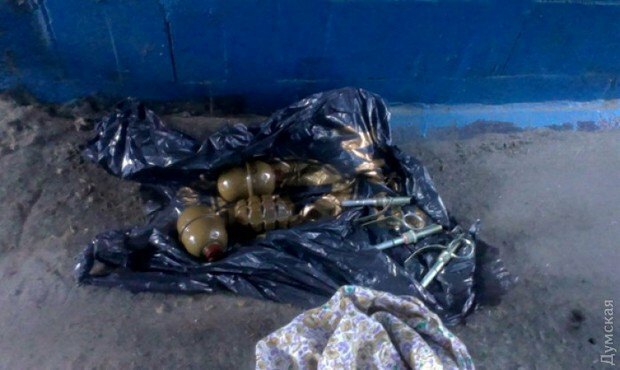 Police have found three grenades in an underpass close to the Odesa railway terminal and Kulykove Pole, the area where pro-opposition activists are planning to hold a wake for the victims of the 2 May 2014 clashes, a spokesperson for the National Police's main directorate in Odesa Region, Darya Yarchuk, has told Interfax-Ukraine. The Interior Ministry's spokesperson, Artem Shevchenko, later identified the grenades as two RGD-5 and one F-1. Access to Kulykove Pole where the mourning rally is due at 2 p.m. Kyiv time has been blocked by police after a bomb alert. Earlier, police found an explosive similar to a smoke grenade in central Deribasivska Street and detained a 20-year-old man on suspicion of connection to it. Kulykove Pole was popular with local separatists in the spring 2014. On 2 May 2014, clashes broke out between the supporters of the pro-European and pro-Russian political course for Ukraine. As a result, several dozen people were wounded and killed, including in the fire in the Trade Union House. Fourty-five people were confirmed killed in the 2 May incidents in Odesa.